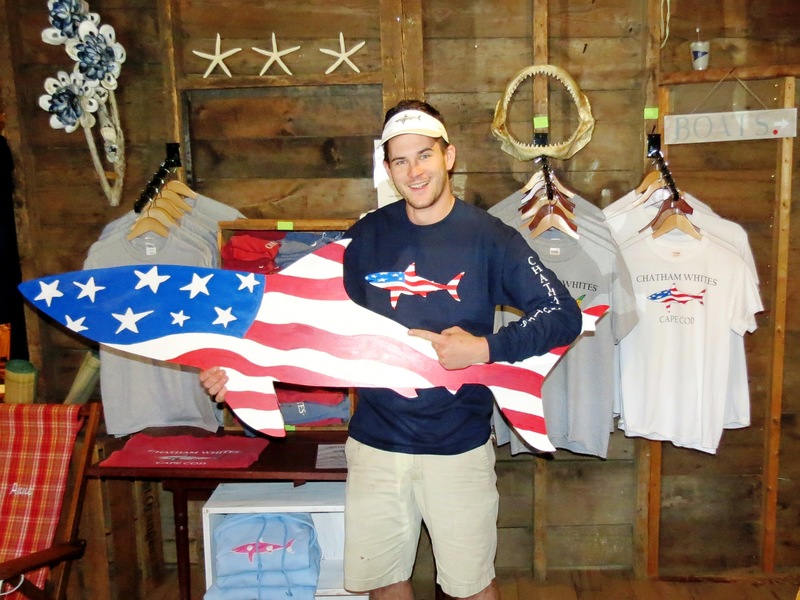 We are one of 54 merchants in town that sponsored 4′ long sharks for the towns “Shark in the Park” activities this summer! 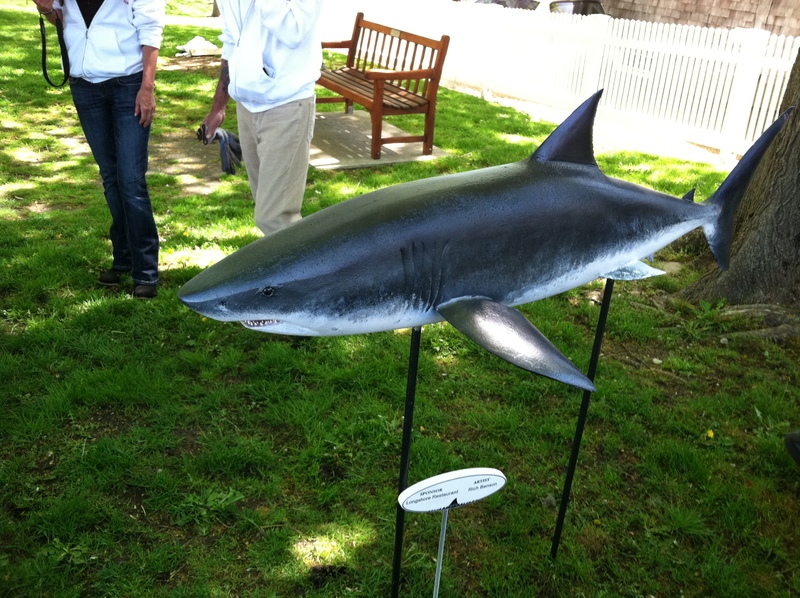 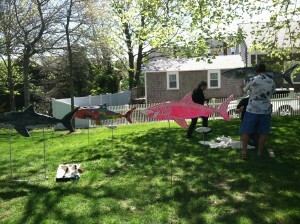 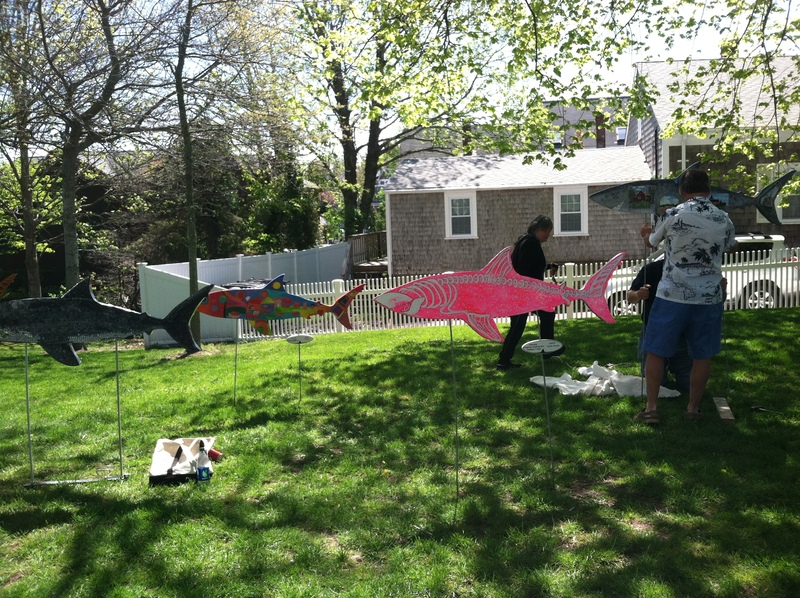 Various businesses teamed up with artists who painted or otherwise created sharks that will be on display around town. Ours was a version of the “All American” stars and stripes shark found on our t-shirts. 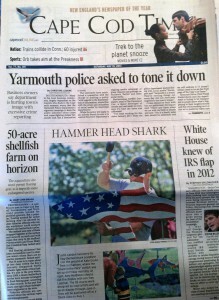 We made the cover page of the Cape Cod Times Today! 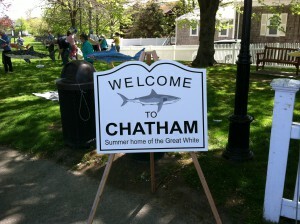 Come check them out in Kate Gould Park off Main Street in Chatham.